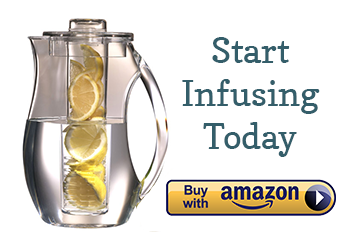 You’ll love drinking this infused water over ice – it’s incredibly refreshing and a fun change from fruit-infused waters, if that is what you are accustomed to drinking. The lemongrass adds a nice herbal flavor to the mix while the mint adds a balancing sweetness. 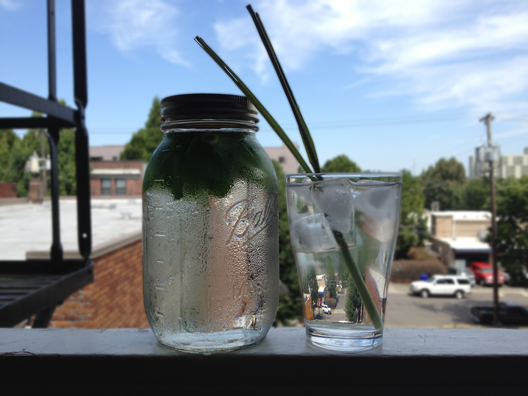 Recipe for 28 oz of infused water: 2 two-inch cuts of lemongrass + 8 hand-torn mint leaves. Chill for 24 hours, then strain before serving. Keep the top grassy part of your lemongrass stalk to serve as a garnish (as pictured). Enjoy! Also, I believe water tastes better in white clay/ceramic containers it will be nice if you have some in your web and the best and cheap water filters, I live in south Florida and the water from the tab tastes ugly. Can I mix this fresh lemon grass with cucumber & white part of egg for my face as scrub?